With weddings from Tulsa, OK to Wichita, KS...we had a busy, fun-filled wedding weekend. 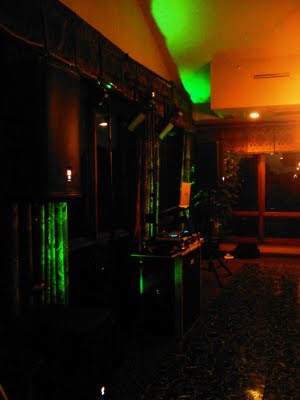 I personally DJ'd a magnificent wedding on Saturday night at the Cedar Ridge Country Club. This was the FIFTH wedding we have done for Jill's graduating sorority class this year alone! I of course always love being at the various Tulsa country clubs. The wedding reception was held in the Club House with open access to the back patio with wonderful views of the sunset out on the golf course. 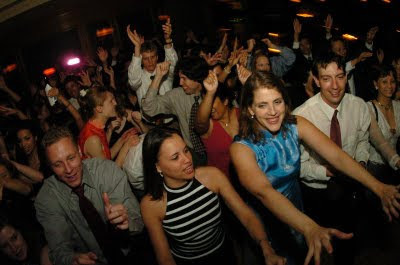 As the night kicked-off, guests meandered about during cocktail hour enjoying an open bar and appetizers. Upon the arrival of Mr. and Mrs. Jody Vivion, our newly-wed couple enjoyed their first dance as husband and wife and dinner was served immediately following. After dinner, guests gathered inside the main entry for the Toasts. The cake cutting was followed by hours of dancing and drinking ending with our Bride and Groom driving off into the Tulsa night. I have included a few photos for your viewing pleasure!